symptoms became too much to bear and I started learning how to cook my own curries via internet recipes. I began cooking for my housemates weekly, and then more friends started coming, then people that I didn’t know, so eventually I ended up charging. In 2013 I decided to up the prices a bit and use the profit from Curry Clube to fund Favela Brass. We've done Curry Clube in various different configurations - with live jazz music, live samba music, at my house, at other peoples' houses, weekly, and monthly. At present Curry Clube happens at the same place as the Favela Brass music lessons (my house in the Pereirão favela) and we do it on Sunday evenings once a month. 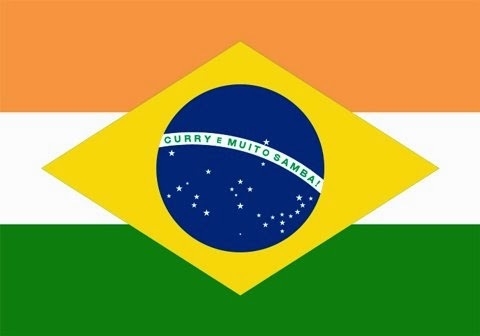 We're combining our curry with an informal live samba jam at the moment, and are trying to get the children playing at the event as much as possible. 1. Take a taxi. 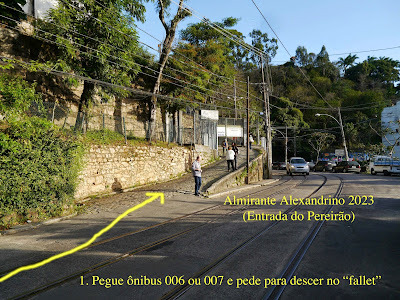 To help the taxi driver, Almirante Alexandrino 2023 is between ("entre") the "hospital do quarto centenário" and the "Largo da França" in the Santa Teresa district, near to the favela "Fallet" (pronounced "fa-letch"). 2. Take a bus. Perhaps only an option for people who are living in Rio and have a bit of local knowledge. You take the 006 or 007 from Centro, Lapa or Santa Teresa and ask to get off at Fallet. If in any doubt, once in the favela just ask any of the locals for "casa do Tom" and they'll point you in the right direction. Curry clube was also recently featured on eatrio.net, Tom Le Mesurier's excellent blog all about what to do in Rio.